His films make it to the Rs 100 crore club within few days of its release and Salman Khan is undoubtedly one of the biggest entertainers in Bollywood. His films are always the most-anticipated and with his last release Kick minting money at the box office, the fans have been eagerly awaiting the sequel of the film. And, it seems Salman will not just act in the film but will also write the script of the film. Yes! You heard it right. 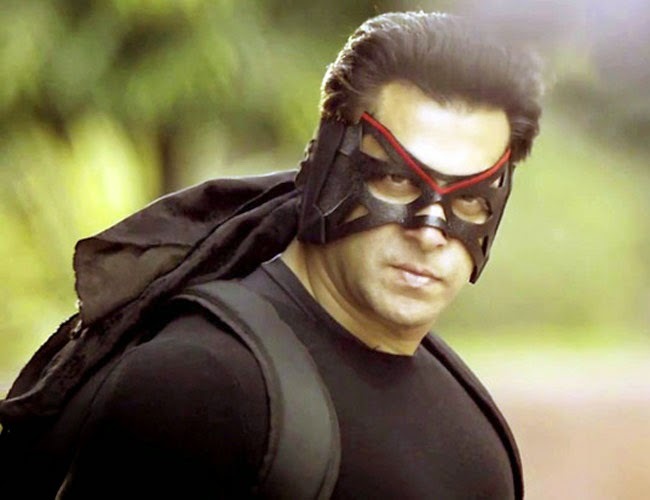 Salman Khan will pen the story of the Kick sequel. If reports are to be believed, Salman shared the basic storyline of the sequel with director Sajid Nadiadwala and the latter liked it so much that he asked Salman to pen down the script for the film. Nadiadwala has confirmed the news to a leading daily, "Yes, it's true that Salman has come up with the story idea, but it's too early to talk about it." Though not much has been revealed about the story but it will definitely be an emotional one. "Salman has cracked the story idea. In fact, he is very kicked about it; and has already discussed it with his close friends. No one is aware of the exact story line, but it's going to be an emotional tale. Since he is busy with the shootings of multiple films, he still doesn't want to rush through it. If all goes well, Sajid will direct the sequel based on Salman's story, but there's no timeline to it," added the source. Though Salman and Sajid both are currently busy with their films and the sequel will take few years to hit the screen, but the director has already registered the title Devil for the sequel. Before this Salman had penned the script for his film Veer in 2010 but it bombed at the box office. But we hope that Salman will nail it this time around with the Kick sequel.